This room was designed by TRG Architects for a 14 year old boy who was in love with the New York Yankees. He brought his favorite team home, literally, with a mural of the NEW Yankees stadium. I painted a view of the stadium with the iconic white arches, waving flags, and huge scoreboard. The boy helped come up with the design, and also chose his favorite brands for the billboards. 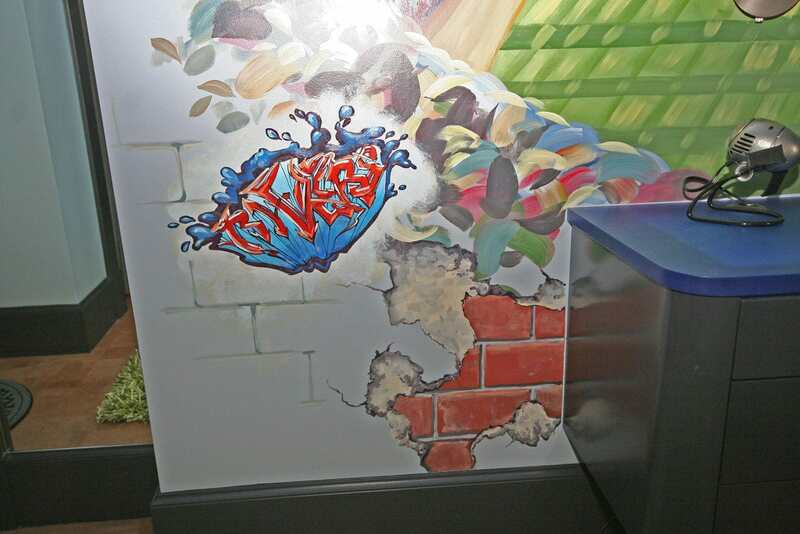 I distressed the mural so it looked like a deteriorating brick wall, and then in graffiti style I went over the mural with the names of his favorite players: Rivers, O’Neill, Berra and DiMaggio. I also had fun with the NY Yankees logo. 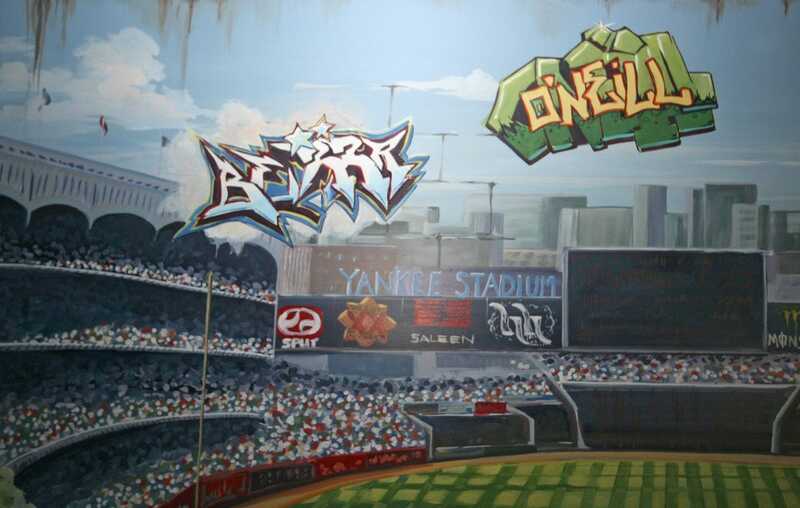 Since he was 14 and too cool to have his name in the mural, I hid it behind the Yankees logo in a tricked out urban style that matched the tone of the décor.